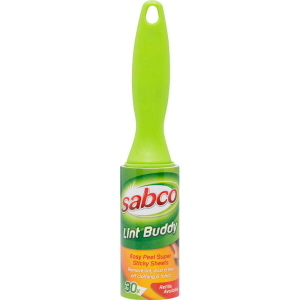 Sabco Lint Buddy's super sticky surface removes all traces of lint and hair from your favourite fabrics. 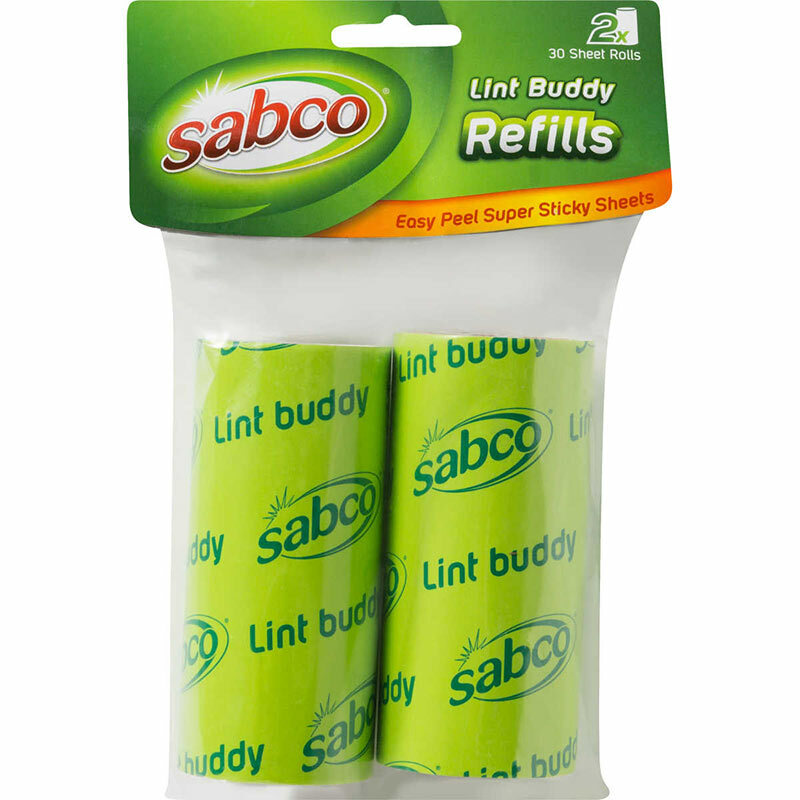 Simply roll Lint Buddy over your clothes or upholstery, tear off the top sheet and throw away. 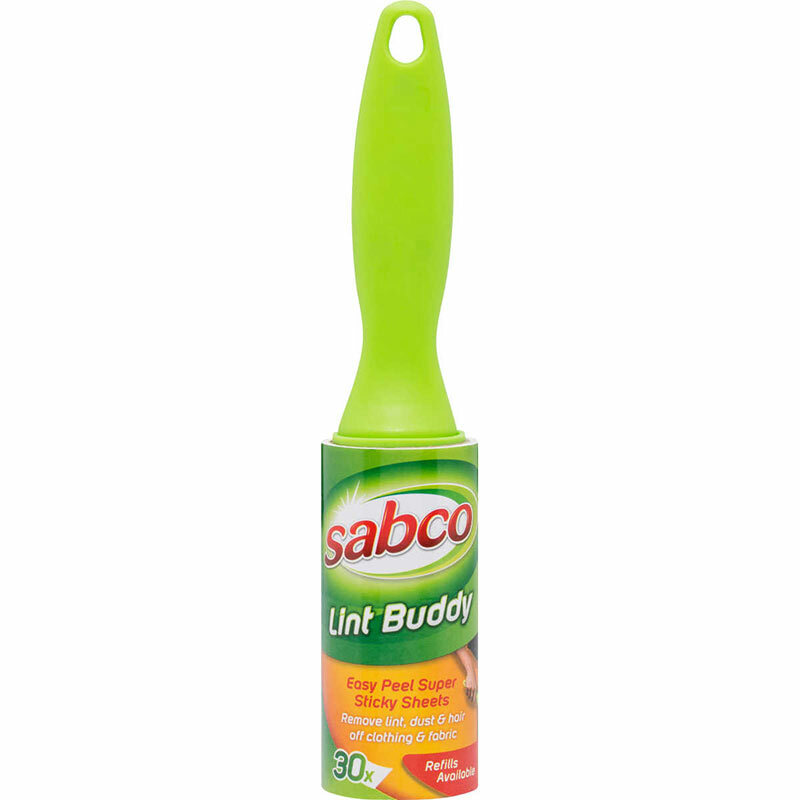 You can use Lint Buddy over and over again. Refill available.